After hearing the petitions, the court dismissed them on the ground that the new government was formed as per constitutional process. 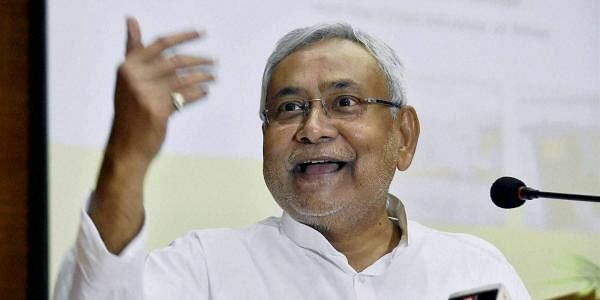 PATNA: The Patna High Court on Monday nixed two petitions filed by Rashtriya Janata Dal (RJD) MLAs challenging the governor’s decision to bypass their party, the single largest in the Assembly, and give a chance to Nitish Kumar to form a government with the support of the BJP. The two judges on the bench, chief justice Rajendra Menon and justice Anil Kumar Upadhyay, said now that the new JD(U)-BJP government has proved its majority in the Assembly, there was no need for the court to intervene retrospectively. The two public interest litigations filed separately by RJD MLAs Saroj Yadav and Chandan Kumar, and Deo Narayan pleaded that the governor’s invitation to the JD(U) headed by Nitish Kumar to form another government -- while ignoring the claims of the RJD although it had more MLAs in the house than the JD(U) -- violated the precedent set in the S R Bommai case. Their contention that the people’s mandate in the 2015 Assembly polls was against the BJP also found no favour with the judges. The governor’s case on the matter was argued by Y V Giri. He relied on the recent Goa precedent to justify Kesri Nath Tripathi’s decision to reinvite Nitish Kumar to form a government after he had put in his papers as head of the Mahagathbandhan government. To back up his claim, Nitish Kumar had furnished a list of 131 MLAs in support of the new government and was asked to prove his numbers on the floor of the House. As it turned out, the same number supported the new Nitish regime in the floor test last Friday. So this justified the governor's decision, Giri said.